Select Diameter 1/8" 3/16" 1/4" 3/8" 1/2" 1" 1-1/2" 2" 3" 4" 5"
With their very heavy wall, adhesive lining, and high voltage rating, Heat Shrink End Caps are a great way to seal the ends of power and communications cables. They are used to form a pressure-tight seal on the end of the cable, and can be applied quickly and easily using a heat gun, or a flameless torch. How often do you have loose wires or other items that do not connect to something (i.e. with exposed ends)?. These items need to be protected as well as surrounding wires may need to be protected from them. Shrinking end caps are the perfect solution! These end caps shrink to fit and seal the termination point of your cables, wires, tubes, pipes etc and help to prevent corrosion, moisture and chemical damage as well as abrasion. 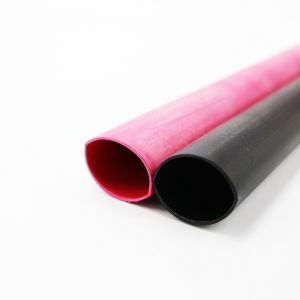 If you need a true watertight seal then the adhesive lining heat shrink end caps can make a watertight seal. The adhesive lining is activated upon the heat shrinking of the cap and then it bonds with the wire/cable enclosure as it cools allowing for this super tight seal. These heat shrink end caps are available in many sizes to suit most needs. 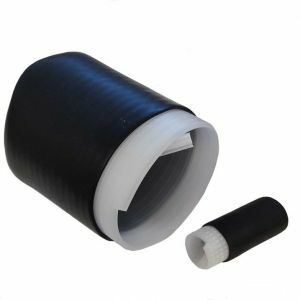 Applications for these heat shrink end caps include fiber optic cable and electrical wire sealing, automotive, generators and even aerospace. These end caps have high di-electric insulating and sealing properties.